SEBASTIAN – The Sebastian Christmas & Holiday Parade is right around the corner. Come on out Saturday, December 2, 2017, from 6 pm to 8 pm to welcome Santa and enjoy fun-filled holiday festivities. 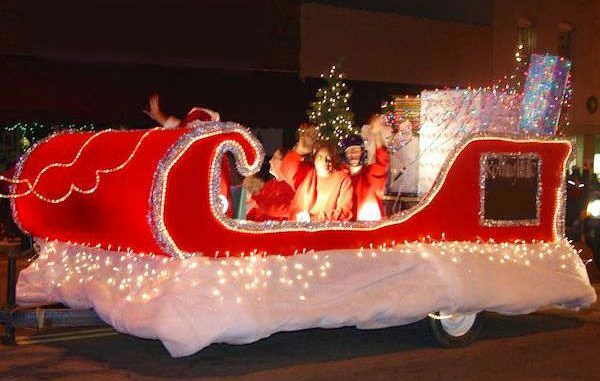 The Sebastian Christmas parade will start at Main Street and travel southbound on Indian River Drive to Riverview Park where they will deliver Santa Clause to his festively decorated house. Then, they will light the City Christmas Tree, and children will have time to visit with Santa. If your organization or business is interested in participating, please fill out and return the registration form found here. The parade and holiday festivities are sponsored by the Sebastian River Area Chamber of Commerce, the Sebastian Property Owners Association and the GFWC Senior & Junior Woman’s Club of Sebastian with the assistance from the City of Sebastian.